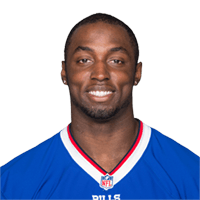 Published: Oct. 25, 2015 at 04:32 p.m.
Bills EJ Manuel finds Marcus Easley for a 58-yard TD. Published: Aug. 29, 2013 at 10:58 p.m.
Buffalo Bills quarterback Thad Lewis throws a deep pass to wide receiver Marcus Easley for a 79-yard touchdown pass. Published: Dec. 3, 2012 at 05:15 a.m.
J.Scobee kicks 61 yards from JAX 35 to BUF 4. M.Easley pushed ob at JAX 41 for 55 yards (M.Harris). PENALTY on JAX-R.Murphy, Unnecessary Roughness, 15 yards, enforced at JAX 41. Bills QB Ryan Fitzpatrick puts the ball where only WR Marcus Easley can get it to help increase Buffalo's lead.